These charming His & Her pillowcases are a unique gift and a perfect addition any loving couple's bedroom. 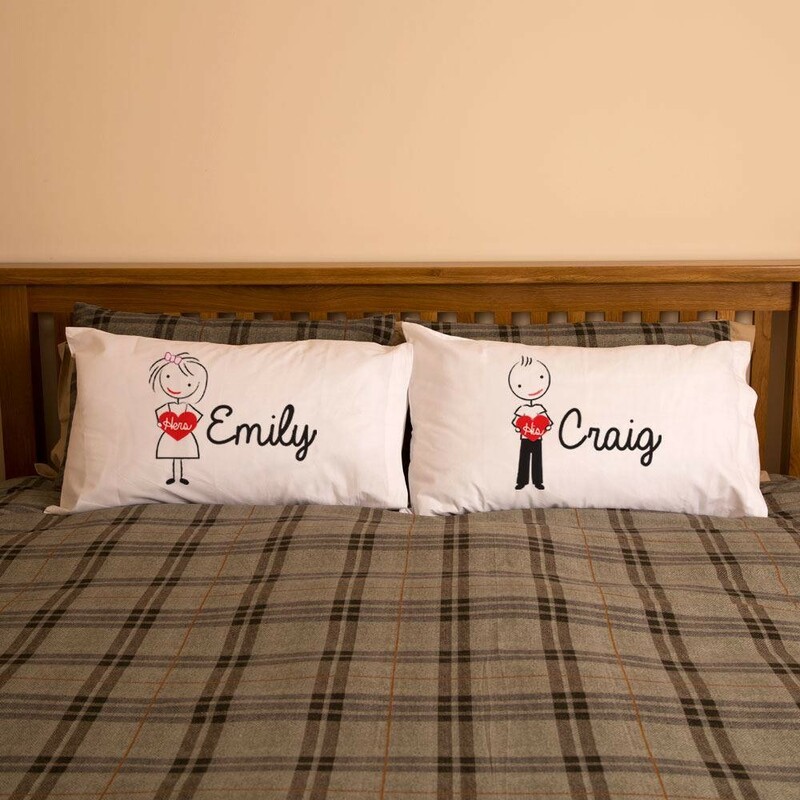 The pillowcases feature a cute stick figure illustration of a girl and boy holding hearts with 'His' and 'Hers' on them. It is a simple yet bold design would look great on any bed so there is no confusion about what side is theirs! 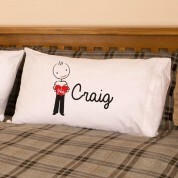 They are a fun present for an engagement, wedding, anniversary, a house warming or Valentine or even just for your own bed.